Tonight, Earth might be hit by a large solar magnetic event. It’s highly unlikely to be strong enough to cause a nationwide blackout that will last for 1-4 years… But the chances of such an event happening in your lifetime are 25%… According to scientists there is a 7%-12% chance of such an event in the next 10 years. In 1989 the electricity across Quebec Canada and the Northeastern U.S. was blacked out by a solar flare. In 1994 two Canadian telecommunication satellites were disabled by solar activity. One recovered in a few hours, the other took 6 months and $50 million to fix. FAA’s GPS based Wide Area Augmentation System was out for 30 hours in 2003 due to space weather. None of these were anywhere near size of the 1859 Carrington Solar Superstorm which created fires in telegraph offices. Over 150 years seems like a mighty long time to worry about something like this happening again, and even though the solar flare caused telegraph wires to spark, who cares? In 1859, the solar flares that occurred in 1989, 1994, and 2003 would never have been noticed, because there were no electrical grids or satellites to disrupt. Today they are ubiquitous. We can’t live without them. Every ATM transaction, telephone call, and corporate communication requires satellites and electrical grids. 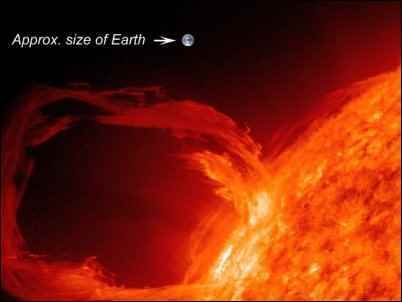 But how likely is another solar flare of that size? In July of 2012, a Carrington-sized solar storm crossed Earth’s path TWO WEEKS before the Earth was due to be in that exact position. We missed the total blackout of Earth (which would last at least a year) losing all communication, refrigeration, light, electric heat and AC, all of our jobs, access to all the money in the banks, and pretty much everything else society depends on by only two weeks. The real problem is the transformers—particularly the large, utility distribution transformers. They are especially vulnerable to a large scale event. If they are blown out in large numbers, there aren’t enough in stock to replace them all. Not hundreds for sure. 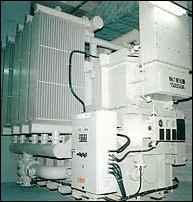 These transformers are GROUNDED to protect them from lightning strikes. In a geomagnetic storm, Earth’s magnetic forces interacting with the passing charged-solar-energy cause a surge of electricity to COME FROM THE GROUND. In other words, the exact mechanism that protects these million-dollar transformers from disaster will be the CAUSE of their doom in a Carrington-sized solar storm. But there are other dangers. This doesn’t even mention the multiple airline groundings due to “software error” at both the airlines and the national air-traffic-control headquarters or the suspension of the Dow Jones stock market that all occurred in 2015 with little to no explanation. Was it a cyber attack, human error, or simply bad luck? The problem isn’t that the risks of bad things happening has changed. The problem is that everything is interconnected, and we are so dependent that the consequences of a systemic failure to you, personally, have increased exponentially over the risk to your great-grandparents. What did they care if the telegraph wires burned up? It had little effect on their daily lives. Alternately, what do you care if the banking system collapses and you can’t get to any of your money for six months? Big difference. Risk assessment involves two primary variables. Variable #1 is the likelihood of the event. Variable #2 is the impact of the event. What is the likelihood of a Carrington-sized solar flare shutting off power to the U.S. for months or years? It’s very low for any given year. Less than 1% probably. However, what would the impact of such an event be for you, personally, and your family? It could be deadly. Let’s look at another likely crisis… a flat tire on your car. What is the likelihood that you will get a flat tire on your car at some point in your lifetime? Probably 100%. Now what is the impact of such an event? A little inconvenience. Even though a flat tire is highly likely—and you should have a spare tire and roadside assistance, or the tools and knowledge to change it—the event will not change your life. An event like a Carrington-sized solar flare, however, will change life on Earth as we know it for months if not years. As a prepper, I’m more worried about risks to our electric grid than most other threats. The likelihood of war in the U.S. is very low, for instance. Or the likelihood of a complete collapse of the U.S. governmental system. These types of events take a very long time to develop and you could see it coming far in advance. Yet, most of us have experienced that sound of the electricity shutting off in your home from a blackout. A sudden sound of everything turning off at once then silence, darkness, and a small amount of rising fear as the air gets still and stuffy. Analysis of Superstorm Sandy in New York and hurricanes Katrina, Rita, and Wilma showed that the average time it took to restore electricity to 95% of affected customers after a regional storm was 11-14 days, with many customers losing power for over 21 days. n 2006, the National Geographic Channel released a docu-drama entitled “American Blackout” which shows in gritty detail what would happen in a national, extended blackout (You can watch the entire movie on Youtube). The National Geographic Channel also has an entire section of their website set up to discuss the various topics related to such a blackout. An extended nationwide blackout could be caused by a large solar flare, an EMP attack by as few as two nuclear warheads set off on the edge of space above America, or a successful cyber-attack on the power grid. While these events are highly unlikely, so was the likelihood of both World Trade Center towers being completely demolished by a terrorist attack, two space shuttles (carefully watched over by thousands of highly trained engineers) blowing up, or the flooding of the entire city of New Orleans with no meaningful response for days causing well over 1,000 deaths. What was the likelihood of a deadly earthquake and tsunami in Indonesia killing nearly 250,000 people and displacing over 1.75 million more followed just a few years later by another earthquake and tsunami in Japan that killed nearly 2,000, displaced 250,000 and caused a catastrophic nuclear meltdown? The low likelihood of an event does not mitigate the devastating consequences the event unleashes. If you are one of the 100+ million victims of a national or regional power-grid disaster you will want to be prepared. So, all I’m saying is… HAVE A YEAR’S SUPPLY OF FOOD STORED… If not a year then six months, if not six months then three months. It’s really not as hard as you may think. The lights can go out at any time without warning and not come back on for weeks, months, years. It is possible. These pictures show what $202 worth of non-perishable food and some personal hygiene looks like. 156 items for just $202. Average cost $1.29. How many times have we taken the family out for a meal or an evening’s entertainment for more than $200? Is there anything in these pictures that you wouldn’t use in a year? Anything you wouldn’t want to eat? How long can you live on 20 pounds of beans, 10 pounds of pasta, 40 tomato products, 40 fruit products, 35 vegetable products, 3 jars of pickles, 4 jars of salsa, refried beans, pork and beans, sauerkraut, 4 pounds of salt, 10 bars of soap, 3 tubes of toothpaste? For me this is just what I decided to buy this morning (for no particular reason). Add to that the multiples of syrup, ranch dressing, mayo, pancake mix, bread flour, other flour, yeast, oil, mac & cheese, jelly, peanut butter, spaghetti sauce, ketchup, rice, canned meat, etc. and you start to have something like a home food-storage solution. Add to that 100 pounds of hard, white-winter wheat, 75 pounds of sugar, an additional 80 pounds of long-term-storage rice, 20 pounds of long-term-storage oats… and now you’ve really got something. Add a goat for milk and chickens for eggs to make it complete. Here is a simple exercise. Go look in all of your drawers, the car(s), and in the cracks of the sofa and chairs for lost change. Now gather up all the spare $1 and $5 bills sitting around your house. Get all the change sitting on the clothes dryer. None of this will be missed if you spend it. How much did you gather? Every six months or so I do this and I generally get around $50. How much pasta and dried beans can you buy for $50? Or how many cans of beans and vegetable can you buy for $50? Keep emergency cash in your car and on your person somewhere other than your wallet or purse. I wear a necklace with a micro-flashlight, a small knife, and $100 wrapped up in a tube. I also keep the cost of a tank full of gasoline in my glove compartment at all times. My greatest fear is getting 200 miles down the road and stopping to fill up only to realize I lost or forgot my wallet. Now I’m stranded for no reason whatsoever. Doing this costs NOTHING. It’s simply cash. Fill at least one closet shelf with extra food. Clear out the top shelf of a closet and fill it up with rice packets, cans of food, tuna fish, extra spaghetti sauce, peanut butter and jelly, bags of bread flour or beans, jars of pickles. Whatever you eat regularly, buy extras. This shelf of food might cost you $100. But it’s $100 that you will use. This is food that you will eat. You are just keeping extra. Store water. Each adult needs at least one gallon of water per day (kids need some water too, I hear). How you store this water is based on your situation. If I lived in an apartment I would store gallon bottles or 5-gallon cubes in a closet. If I had the space, I would get a clean 55-gallon drum and fill it up with water, maybe more than one. I, personally, use 275-gallon IBC cubes to store my emergency water. I have two, so I always have at least 500 gallons of emergency water. I also keep at least three cases of bottled water on hand. Some water storage is better than no water storage. Store some. You don’t want to be drinking water from the back tank of the toilet in order to stay alive. Think about energy. I live on a homestead so I have a 250-gallon propane tank, a 250-gallon gasoline storage-tank and a 1,000-gallon diesel storage-tank. When I lived in the suburbs I would keep at least three extra 25-pound propane tanks for my outdoor grill, and at least 30 gallons of gasoline stored in safe 5-gallon containers. That way, I always had some fuel to cook and at least a tank full (or two) of gasoline on hand. Another energy you might want to store is firewood. The storage containers cost money, but the fuel is essentially free, because you will use it! You want to cycle through your stored gasoline every 3-6 months. Toiletries, medicine, candles, flashlights and batteries, emergency radio, self-defense weapons, and ammo. These are all very important preparations for a power outage (short term or long term). You don’t have to be a “prepper” in order to be prepared. For the entirety of human history, people have stockpiled what they needed for the winter, for whatever. It has only been in the last 70 years that we have decided to live hand-to-mouth with constant trips to Walmart and Chili’s. Since Americans eat out so much—grabbing a drive-thru breakfast on the way to work, then eating lunch out, and ordering a pizza for dinner—we have almost NO FOOD at home. In the past people would have a pantry full of commodities like dried beans and rice. You would be hard pressed to find more than 2 pounds of rice in an average American household today and probably no dried beans whatsoever. If you don’t purposefully create emergency food-storage then you are pretty much guaranteed to have none at all in an emergency. Imagine how long just 25 pounds of rice would feed you; 25 pounds of rice is the size of your pillow and will store for years (if you keep it away from mice). Rice, beans, tuna fish, peanut butter, bags of sugar and flour, two large boxes of instant pancake mix, plus 6 bottles of syrup, 5 containers of oats, 10 jars of spaghetti sauce, and 10 pounds of spaghetti, extra vegetable oil, extra boxes of cereal, 20 rolls of toilet paper, batteries. Most of this you will use eventually. Maybe not the rice and oats, but they are super cheap and will keep you alive in a long-term emergency. You don’t need to go buy $1500 worth of “Powdered and Freeze Dried Emergency Storage Food”. In fact, I recommend against it. Just buy extra of what you already eat first. Like peanut butter, pancake mix, spaghetti, and pickles. Then add some bulk staples that you probably won’t use on a daily basis but will save you in an emergency, like lots of extra rice and dried beans pasta. Put them in 5-gallon plastic buckets in the bottom of your closet. Go find some spare change and buy something with it today. Put some extra cash in your car for emergencies today. Fill a container with water that you can drink in an emergency today. Clear out a shelf in a closet for food storage today. If you create the space for food and water storage then I guarantee it will fill itself up over time. Nature abhors a vacuum. You will find ways to fill that space with emergency supplies that you can use anytime. Grant Writing for Homesteaders: Go Get That Money!